Directed by Joe Hitchcock and produced by Morgan Leigh Stewart, the short doc Blood Sugar captures the unique point of view of New Zealand preschooler Dahlia and what it’s like to live with the lesser-known Type 1 diabetes. Despite the “bum pricks” — her term for insulin shots — and the constant monitoring of blood sugar, she is a typical child. She reminds us when saying, “When you die, you don’t do anything; when you’re alive, you play.” The 3-minute film deftly captures the gravity of chronic illness set against the whimsical backdrop of childhood as we see Type 1 through Dahlia’s lens — on a swing made of rope with a butterfly band around her head, or at the beach with a stick for a shovel. Watch 24 Hours with Anna and Sam another documentary on a chid living with Type 1 diabetes. Robert is of Ngāti Kuki Airani (Rarotonga & Atiu), Te Arawa and Ngāti Awa heritage; he lives and works in Auckland, Aotearoa New Zealand. Robert was schooled in Rotorua, Wellington and Rarotonga. He is a video artist, writer, film-maker and painter, his work has been shown in New Zealand, the Cook Islands, Australia, France and Canada. Did you know that the kumara came dangerously close to extinction? 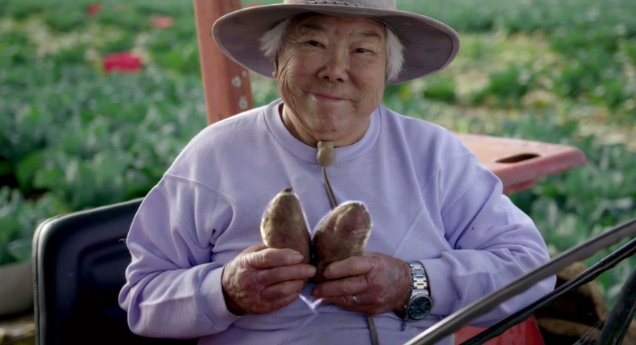 As this micro-documentary from Felicity Morgan-Rhind explains, we owe a great debt to Chinese couple Mr. and Mrs. Gock and their love of the kumara. We’ll be featuring more Loading Docs 2016 titles in the coming days. Funded by NZ On Air with support of The New Zealand Film Commission. All around us, fellow New Zealanders are telling stories. In books and films, on TV, via social media, on the phone, beside you on the bus – there’s no end of incessant yapping via every channel available.We live in a world drenched with narrative, much of it confusing, contradictory, scary, unintentionally hilarious. Hot air, blather, loose-lipped jabbering – this is the backdrop to our lives, and there’s no escaping the fact that many of the tales we tell each other are puffed up with unnecessary padding. Where are the stories that cut to the chase? How can an impatient soul like me – a man who favours the short story over every other literary artform – find fresh and moving new narratives I can dip into in less time than it takes to brew a good cup of tea? A new short documentary tells the story of two friends in their 50s who are in the process of redefining their friendship after one of them comes out as transgender. At three and a half minutes long, Same but Different captures a moment of honest contemplation.Friends with Neil for 25 years, Byron has recently come out as trans and the new documentary Same but Different explores the impact her transition is having on the pairs friendship. The short film is part of local filmmaking initiative Loading Docs and is directed by Neil’s wife Louise Leitch. Loading Docs selects ten short documentary proposals that are then mentored through from development to distribution. Watch Same but Different over on the Loading Docs website. 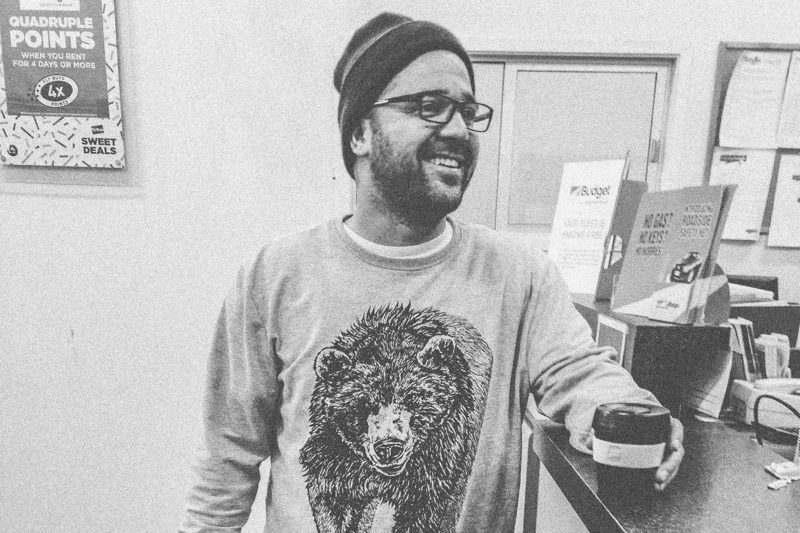 Loading Docs is a documentary initiative establishment in 2014 to captivate and inspire audiences as well as develop and promote New Zealand filmmaking talent with the support of NZ On Air’s Digital Media Fund and the New Zealand Film Commission. Through a competitive selection process, it selects ten short documentary proposals to create three-minute shorts, which are then supported from development through to distribution. Working with local and international mentors, Loading Docs filmmakers expand their skills in a range of areas including story development, outreach, publicity and marketing and distribution. Every day I am more and more amazed by the people of Aotearoa; their level of talent, artistic expression, and just their sheer desire to inject more good into this world. Thanks to TEARAWAY, I had the privilege of attending the world premiere of Loading Docs. Loading Docs: A short film initiative which has seen 10 Kiwi filmmakers submit their own three-minute long films which all explore the theme of “change”. 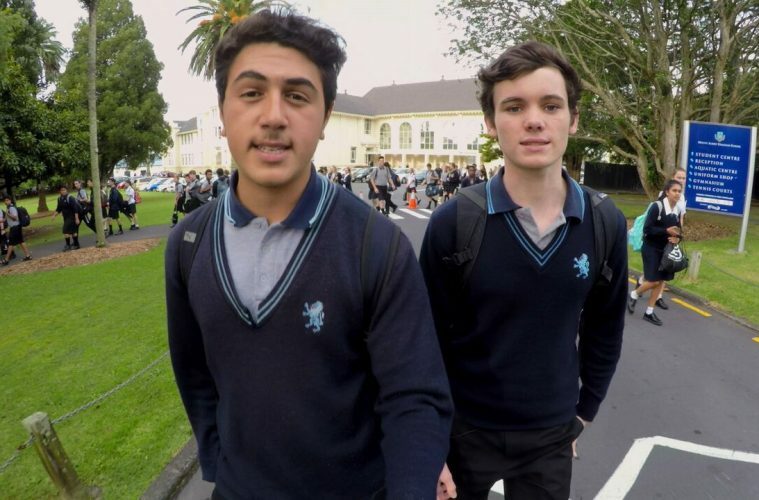 We have three of their films right here – stories about gender transitioning to world issues to Auckland’s millionaire shoe-shine man. Enjoy. Business, film and poetry are combined in a documentary celebrating the heartwarming story of How Mr and Mrs Gock​ Saved the Kumara. Joe and Fay Gock​ fled as child refugees from war-torn China during the occupation of large parts of the country by Japan’s brutal army. Nobody could have guessed when New Zealand took them in the part they would play in saving our national root vegetable. The story of Joe and Fay Gock is told by movie-maker Felicity Morgan-Rhind. When Black Rot threatened to obliterate the kumara industry in the 1950s, the Gocks gifted their disease-resistant strain to the nation, and refused to take a penny for it.